Did a seer from India record your Past, Present and Future so many years ago? The answer is: - YES. This is called as Nadi Josyam or Naadi Astrology. Can you believe that someone in India is storing records of your entire life cycle ie. Your past, present and future, hard to believe but Yes, this is called Naadi Astrology. Nadi is an ancient astrology, which has been composed by great Maharishis (sages) of India in the past using their spiritual powers. The sages recorded these predictions for every individual for the betterment of humanity and to safeguard dharma (righteousness). These sages predicted the characteristics, family history, as well as the careers of innumerable individuals contain in several thousand volumes, each containing around a hundred predictions. These Naadi prediction recordings, being the repository of wisdom of the Great Saint was one of the well preserved books for thousands of years by the many generations of rulers, until an auction during the British rule, when it finally became the proud possession of an influential family of Valluvar community at Tamilnadu. The Rishis (sages), who dictated those Naadi's, were gifted with such a remarkable foresight that they accurately foretold the entire future of all mankind. Many scholars in different parts of India have in their safekeeping several Granthas. Initially, Naadi Astrology predictions was thought to be just writing on Astrology, but soon it became evident that the scriptures contained some unique predictions of specific natives, who will come seeking them, at a particular stage of their lifetime, as foretold by the Great Saint in these predictions. Among the various characteristics of man, one is "his obsession for probing things unknown. From ancient times, man is obsessed and eager for seeking more and more knowledge. He has succeeded too. It is an unending quest. India's contribution to this search of the unknown is very important. India has a tradition that has always kept alive its link with the unknown. India is not just a nation, a country, or a piece of land. India is much more than that - something symbolic, poetic, and talent-invisible! The reason is that India is the only country in the world, which has concentrated on and devoted its entire talent and intelligence in the search of the truth. For thousands of years millions of people have been making efforts towards that single objective. For that, they shunned riches, adopted poverty, risked ill-health etc. But they never gave up their search for the truth. The divine, blissful vibrations of all those sages are always present in the atmosphere here. They include saints, mahatmas, Rishis, Munis, Gurus, Scholars, great poets, painters, and talented intellectuals who were the medium of Divinity. They have obliged mankind by opening up various avenues to divine knowledge. But to grasp that divine knowledge, it is necessary that one attain a certain high standard of moral behavior, asceticism and knowledge. Of the many aspirations that humans have, one is to peep into one's future. A number of sages (Rishis-munis) have dwelt on that in a number of ways. One of its outcomes is the science of Naadi Astrology. Needless to say that these Rishis and munis were experts in the science of Yoga, which describes the different states of one's being. If we grasp them, some light can be thrown on how the Yogis get or may be getting the knowledge of ascertaining and recording the future of every human being. That is just a small part of that vast store of cosmic knowledge. On obtaining the aspirant thumb impression, it is handed over by the Naadi reader at the library, as it the scientific fact the whirls and loops of every individual is unique and it is next to impossible to be replicated. The thumb lines are classified into 108 types. The writings in palm leaf bundles are indexed & classified in the library according to thumb impressions to facilitate easy searching of the bundles. For each thumb impression there are likely to be around 5 to 6 bundles; each such bundle in turn containing 50 to 100 leaves. One particular leaf might be that of the individual, but the process of finding out that specific leaf is laborious and time consuming. The reader has to read out one statement from the first leaf and it confirms to the individual, he will read out the second statement to verify its veracity. If this statement does not hold true for the individual, the reader passes on the next leaf, discarding the previous one. It will therefore will be evident that the reader will have to go on searching leaf after leaf, bundle after bundle to trace out the one leaf in which all the particulars concerning the individual correctly appear. To expedite this process, the aspirant seeker has to extend his full cooperation and support because this process may take weeks or months. These results in the tracing out of not only the index leaf but also the first leaf of the individual also called General Kandam. 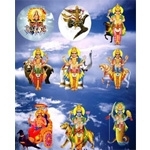 The General Kandam will furnish brief predictions corresponding to the 12 houses of the individual's birth chart. It detailed predictions of any particular aspect of one's life are required; they can be listened from the remaining 11 leaves of that individual's Horoscope. For the predictions to come true, Rishi Agasthiyar or Siva Vakiya Maha Rishi insists that the individual be free of any previous birth sins. He therefore suggests and specifies the performance of certain Parihars remedial procedures to wipe off the maximum extent any such balance of sins. If these remedies are performed with full involvement and without any deviation, he assures the happening of the events predicted by him. These remedial procedures are to be found in separate chapters called Shanthi & Dheeksha. The taken in locating the right index and subsequently the predictions, can sometimes span across month. After few attempts, searching these index volumes if the native does not find his or her index page it may be concluded that either the index is lost or he/she is destined to find it at later stage. Agasathya (Agathiyar) Nadi, Bohar Nadi, Valmiki Nadi, Nandi Nadi, Thriumoolar Nadi, Konkanavar Nadi, Machamuni Nadi, Gorakhnathar Nadi, Sattaimuni Nadi, Sundaranandar Naadi, Ramadevar Nadi, Kudambai Nadi, Karuvoorar nadi, Idaikadar Nadi, Kamalamuni Naadi, Pathanjali Nadi, Dhanvanthiri Nadi, Pampatti Nadi. Among the above Nadis, Maha Siva Sukshama Nadi is more elaborate, precise and worth seeing during selection. This Nadi carries more divine strength since Lord Siva and Goddess Parvathi converse about the native and in this process Goddess Parvathi elicit required details from Lord Siva on behalf of the native. Chapter2: This Kandam is about Family, Education, Eyes, Money and Intuition. Chapter3: This Kandam is about brothers & sisters, Relationships between them and self. Chapter4: This Kandam is about Mother and Comforts through House, Land and Vehicles. Chapter5: This Kandam is about Children and births, reason for not having any, future lifestyle of children. Chapter6: This Kandam is about troubles and hardships due to Disease, Debts Enemies, Litigations or Cases. Chapter7: This Kandam is about first Union or Marriage and Status of married life. Also contains hints of valuable information about the name of the future spouse, horoscope, age of marriage, and some characteristic features of the spouse etc. Chapter8: This Kandam is about lifespan and Longetivity, Accidents and dangers with indication of time and age during one's lifetime. Chapter9: This Kandam is about Father, Wealth, Visits to holy places, Fortune; Benefit from the preaching's of Guru and holy people, charitable deeds and social life. Chapter10: This Kandam is about Career, Job, Profession and Business, Good and Bad times in career. Future predictions about growth, prosperity and losses in one's job or business. Chapter11: This Kandam is about Second or further marriages, Profits in business etc. Chapter12: This Kandam is about Expenditures, Foreign Visits, Next birth and Salvation. Chapter13: Shanti Pariharam: This Kandam is about past life or birth, bad and good deeds and a series of rituals that can dilute the effect of past bad deeds. Chapter14: Dheeksha Kandam: This Kandam is about the methods of preparing the Mantra Raksha that has the power to shield the self from evil forces of jealous and envy. Raksha ensures relatively better rewards for one's efforts and success in deeds. Chapter15: Dasa Bhukthi: Speaks about the planets influencing the Native primarily and secondarily at the time of listening to this prediction. The results yielded by them and the way with which the values of them can be enriched and the precautionary effort to balance one's weak period are all obtained. This reading minimise one's difficult days to the minimal level. 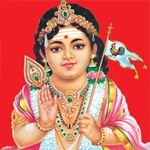 Chapter16: Gynana Kandam: It speaks the goal of the life (LIBERATION) of the Native, since how many births he/she has been trying to achieve it, how may births yet he/she should try to achieve the goal, the right path to be pursued and to achieve it (LIBERATION) are all portrayed in this holy script. Chapter17: Political Kandam: This is about predictions about social service and political life. In this it high lights about future course of involvent in one's life career. Those in politics or desired to be will come to know where they are on this and also could cruise during incoming periods. Some may have blessed for it but may not know. This chapter will give in sight about everything on this aspects. There is something more than just a predictions in Nadi Astrology. 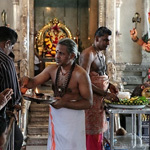 Besides giving you comprehensive details about your past, present and future life patterns, Nadi Astrology provides apt & suitable divine remedies to rid your problems such as marriage obstacles, career stagnation, health hazards, business problems, financial uncertainty, property disputes or hurdles in higher education persue and so on. The Prediction formulated by great Saints originate about 2000 year ago which is now revealed by Nadi Astrologer who are trained and brought up by a community through heredity. During the British rule, most of the palm leaves (treasure)perished due to natural calamity and in war too. The Britishers displayed interest only in Palm Leaves which are vital for medicine engineering and astronomy. Only quantum of leaves that left behind that only now remains and maid in circulation. By your thumb impression like gents right hand, ladies left hand we predict all about you, your family, future up and downs to clear the downs by remedial measures by seeing the ancient palm leafs of shri Agasthiyar, sughar and mahasiva naadi. The naadi astrologer first takes the thump print of the person who has come in search of his naadi leaf. 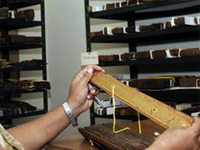 He then uses the print of the thumb to identify the possible palm leafs from the numerous manuscripts in his possession. 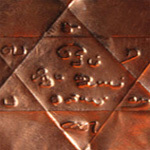 Usually naadi readers have bundles of these palm inscriptions at their disposal. It is not a certainty that the persons leaf would be with that particular naadi reader. It might be with a reader from any part of the India. Else the leaf might have vanished after years of neglect. 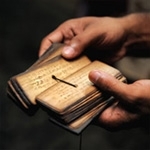 Once the naadi reader locates the particular bundle, he begins to read from each leaf and asks the person a series of questions about his or her life while attempting to identify the current leaf. This process can take anywhere from a few minutes to several hours and it should be noted that it is not always possible to identify a person's record. If all the details about the person matches in a particular leaf. Then only naadi reader will consider as their leaf and start predicting by seeing their leaf about their past, present and future in detail and as accurate. First there would be a general reading and then, based on the person's interest, additional leafs are consulted to explore areas such as marital relationships, profession, health, politics, diseases, enemies, profits, losses, remedies, medicines, spiritual, previous birth and next birth etc., The naadi astrologers will also suggest remedial measures that the person can take to reduce the influences of past karma and enhance the benefits of future activities. Can you believe that someone in Tamilnadu keeps the records of your past, present and future? Yes! It may be a wonder for you, but the truth is obvious. This is Naadi Astrology written by some enlightened mystic scholars of the ancient past for the betterment of their posterity. Yes ... this is the patrimony that the mankind has derived from its predecessors. Envisaging the welfare of human kind and the forthcoming generations, they created the records of the individuals, by spending their whole lives in order to ease our lives at this modern age and among all crises. Perhaps, this was the effort extended by them to preserve "Dharma" during this Kaliyuga. However, they intended to help the humanity to be on the right track by spiritual wisdom. These enlightened sages are an esoteric group of ancient siddhas and are yet to be known by the world. Got pleased with their fervent prayer and dedicated devotion, Lord Shiva bestowed on them some exclusive powers. This is called the sixth sense extra sensory perception. 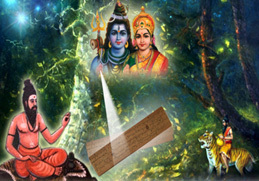 With the help of this incredible clairvoyance which they derived from Lord Shiva, they created your records on palm leaves which is associated with your past, present and future. Their peerless knowledge is hereto being served to keep you all at zenith. The origin of the nadi inscriptions can be traced back to approximately 2000 years ago. It is said that the ancient Indian Rishis or sages had written the life patterns of each person on palm leaves by their Yogic Intuitive powers. Later during the British Rule, the British sold these leaves to the locals who very very much interested in getting them. People belonging to a particular sect called the Valluvar community of South India who specialized in astrology bought most of these leaves. Some of these were also acquired by the astrology families in Vaitheeswarankoil, a place near Chennai, the capital of Tamilnadu, a state of India. The leaves were found lying idle in Vaitheeswarankoil aorund the 13th century. Some interested in Astrology realized their values and copied the contents on palm leaves and made exact replicas. These leaves have been handed down over generations to make predictions. They earned their livelihood through Nadi-Astrology. They got trained from their elders to do Nadi reading. Then Marata King Sarabhoji and Chola Kings patronized this form of astrology and translations. It seems that these Nadis were originally written on animal skins and some leaves and later they were copied on palm leaves. Here Lord Shiva is said to have assumed the role of a vaidhya or doctor, who alleviated the miseries of his devotees. In the remote past, the saints used palm leaves to create valuable records for the growth and progress of the posterity and these nadi records are also the part and parcel of the abundant treasure of various subjects, such as Ayurveda, Siddha, Varma, Astronomy, Astrology etc. The palm leaves records that are kept here comprise your past, present and future. These naadi records are not available for the total population of the world and it is limited for the destined souls. These destined souls are involuntarily attracted to read the leaves by force of circumstances or under compulsion or intuition at right times as destined here from the center. The language inscribed on these palm leaves is in old poetic Tamil and it is understandable to very few who are well versed in this art of naadi reading. Among all division, Maha Siva Sukshma Nadi is the greatest part and it is more descriptive in predicting the future of the individuals. This was written by the saint who composed the records like a dialogue between Lord Shiva and Goddess Parvathi, the Supreme Deities. It is more sharp and vivid in forecasting the future of individuals. It shows the clean picture even in the inner most side of the individuals. It gives very good ways and means to nullify the aftermath of the past birth Karma & it guides them well to well shape their future. The remedies being prescribed by Maha Siva Sukshma Naadi are more effective to subside the problems and minimize the density of crises. With just a thumb print, the astrologer can identify your palm leaf containing your destiny, previous incarnations and even your forthcoming incarnations, if you are destined to have your records from this centre. Nadi Consultant Services very fond of serving people in the Globe to not only analyzing their destiny, but also realizing the Human Values thereby removing their Karmic (sins) after effects in this present birth. We invite you in this to browse any area of your life subject by selecting relevant chapter(s) and to restructure the life as you desire. Note:- It is mandatory to order Chapter 1 before ordering any other chapters. This alone guarantees whether are not a holy script is written for you and exist. It is also ideal to order Chapters 13 and 14 along with Chapter 1. This combination gives not only predictions but also provides ways and means to redress your problem through remedies. This chapter speaks about past life or birth, bad and good deeds and a series of rituals that can dilute the effect of past bad deeds. This chapter speaks about the methods of preparing the Mantra Raksha that has the power to shield the self from evil forces, Jealous eyes and envy. Raksha ensures relatively better rewards for one’sefforts and success in deeds. This chapter speaks about Family, Education, Eyes, Money and Intuition. This chapter speaks about brothers & sisters, Relationships between them and self. This chapter speaks about Mother and Comforts through House, Land and Vehicles. This chapter speaks about first Union or Marriage and Status of married life. Also contains hints of valuable information about the name of the future spouse, horoscope, age of marriage, and some characteristic features of the spouse etc. This chapter speaks about troubles and hardships due to Disease, Debts, Enemies, Litigations or Cases. This chapter is about first Union or Marriage and Status of married life. Also contains hints of valuable information about the name of the future spouse, horoscope, age of marriage, and some characteristic features of the spouse etc. This chapter speaks about lifespan and Longevity, Accidents and dangers with indication of time and age during one\'s lifetime. This chapter speaks about Father, Wealth, Visits to holy places, Fortune; Benefit from the preaching\'s of Guru and holy people, charitable deeds and social life. This chapter speaks about Career, Job, Profession and Business, Good and Bad times in career. Future predictions about growth, prosperity and losses in one\'s job or business. This chapter speaks about Second or further marriages, Profits in business etc. This chapter speaks about Expenditures, Foreign Visits, Next birth and attainment of Salvation. Nadi Special Package consists of the General Chapter (which gives the generalized predictions of the native right from the time he/she seeks these predictions till the end of his/her life covering all aspects of one’s life) and the Remedial Chapters 13 (known as the Shanthi Chapter which talks about one of the native’s past birth life and the Sins and Bad Karma’s he/she accumulated in that birth and the remedial measures) and Chapter 14 (known as Diksha Raksha Mantra Chapter which ultimately protects one from Jealous and Evil spells and the negativities that are haunting us). Find out whats in store for you and the ways to rectify your miseries to lead a life as per your desire through this Nadi Special Package. Gives predictions about social service and political life. In this it highlightsabout future course of involvement in one\'s life career. Those in politics or desired to be, will come to knowwhere theyare on this and also could cruise during incoming periods. Some may have blessed for it but may not know. Thischapter will give insight about everything on these aspects. Speaks about the planets influencing the Native primarily and secondarily at the time of listening to this prediction. The results yielded by them and the way with which the values of them can be enriched and the precautionary effort to balance one\'s weak period are all obtained. This reading minimizes one\'s difficult days to the minimal level. : Speaks the goal of the life (LIBERATION) of the Native, since how many births he/she has been trying to achieve it, how many births yet he/she should try to achieve the goal, the right path to be pursued and to achieve it (LIBERATION) are all portrayed in this holy script. Speaks about the reason/origin of the chronic diseases of the Native (which are at times difficult to be diagnosed by the doctors themselves) and describes the preparation (medicine) as per the direction of the great Saints, Seers and Sages, the way it is to be taken with diet restriction and the length of the period it is to be taken etc., (for a timely, speedy and safe recovery patterns of the Native). How do you want your Nadi Leaf Search? Why to Perform Nadi Remedies? Remedies will reduce your karma and will be blessed with good gift in life. Remedies are solutions to your life's problems, challenges, sufferings, unfavorable situations, long term negative ruts which brings mental clarity in you to take good decisions in all aspects to achieve the goal. Nadi service would change your life style by providing solution to each problems, sufferings, etc and it guides you as a mother and shows the right path in your life. Through this nadi remedy you can erase your past birth karma and would able to realize the changes happen after the remedy. "Chapter 13 is Shanthi Kandams" is most powerful from all chapter and it brings solution to the current facing problems in your life. Due to past birth heavy karma you would face problem in this birth. As you all know that there is the solution for each problem. So by performing Shanthi remedy with sole heartedly will secure you from bad karma with almighty blessings. The 13th Chapter Nadi remedies, are very simple to perform. In Shanthi Remedy you are directed to visit few temples of importance which only relevant to alter your karma. Thus the specific temple remedies and the rituals thereon would make you to overcome the hurdles. We are all energetic beings and would guide you to vanish your karma. Through the remedy you will be able to overcome hurdles in financial aspects, marriage postpone , family litigation , business/ work spot problems, health debacles and etc. Temple remedies would be performed in India only. Don't miss this chance in your life. Temple Remedy can be performed in Two Ways. If our customers decides to perform the remedy in person, we would provide our valuable services to them. (Arranging transport, hotel accommodation, touring data and other allied requirements).Our Guide in this regard would assist and accompany the remedy does with utmost care, devotion and duty in every aspect. The Expenditure details will be provided to the customer and confirm the schedule before departure in every aspects through online process. If our customer moves on to perform the remedy through Proxy, will Provide them the cost details with utmost perfection and also arrange suitable person for proxy doing. Such members can pay for their Proxy remedy through online. 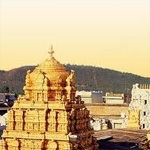 On the completion of the remedy rituals the Prasad of the temples that the proxy visits will be dispatched to the address given by our valuable customers. 14TH CHAPTER REMEDY or Diksha remedy is the divine process which cleans the negative energy. Diksha means "initiation". Here it refers to initiation into secret knowledge that allows the deeper world to develop through the use of the right mantras and the right protection. Chapter 14 or DIKSHA Kandam is also a remedy prescribed to ward off the ill effects arising due to planetary displacement in one's life. It suggests long - term relief measures (Diksha Remedies) to overcome the problems both present and future course of human life. It prevents the remedy performer from out of adverse effects like evil eyes, jealous, black magic and witchy tricks. To arrest these happenings in one's life a talisman is needed for such people. A specific MANTRA is prescribed to each individual concern according to their wanting in their future course of life. This mantra will be engraved in a copper sheet called RAKSHA PLATE and will be placed in a big prayer (pooja) hall decorated with prayer materials. The Priest who are well versed in the art of doing such pooja will chant that specific MANTRA for the sessions directed in the reading lasting number of days ( Mandalam) as prescribed. One Mandalm is 48 days. While doing so, the effects of mantra during chant will get energized in Raksha Plate . By keeping this Raksha Plate in one's possession the power of the MANTRA will react favorably on them. Through this any deficiency attributed in the reading will get rectified and the benefits due to them will reach without any hiccup. Earlier commence quicker the pleasant life. After the completion of Raksha Plate Energization which was kept in Pooja and the he / she may purchase silver / gold amulet which is the external cover for inserting Raksha Plate and shall wear it in the around the body as per their convenient. Upon the confirmation of silver amulet order your Energized Raksha Plate will be delivered by inserting into the Amulet with sealed. You will receive the silver Amulet as per Pitcure place above. 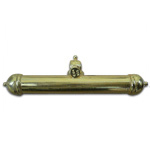 Upon the confirmation of Gold Amulet order your Energized Raksha Plate will be delivered by inserting into the Amulet with sealed. You will receive the Gold Amulet as per Picture place above. Note: This is ONLY the price of the Gold Amulet. 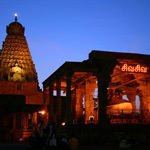 "Nadi Consultant Service" is one of the most reputed and popular tour operators in chennai. We are a one-stop destination for all your travelling needs. We offer an amazing range of tour packages for vacationers and tourists. 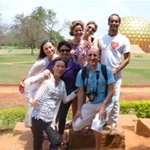 A major factor that separates us from other tour operators is the fact that we provide thoughtfully designed Chennai tour packages for every budget. In addition, based on the needs of the tourists, we customize all their travel arrangements to make their trip a fulfilling experience. We have been in this business for years now and have gained a reputation of being an efficient and a trustworthy tour operator. We organize a broad range of quality travel arrangements, including incentive travels, flight bookings, discounted hotel bookings, chauffer driven car rental services, escorted tours and ticketing. 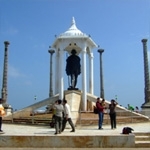 With us, you'll get to explore some of the most exciting and mesmerizing places in chennai. Our Chennai tour packages will surely provide you with a wonderful opportunity to experience the rich cultural heritage India and explore the charm of its monuments. In addition, you'll also get to visit spell-binding Tamil Nadu destinations like Golden Temple Tour Vellore, Kanchipuram, Mahabalipuram and additionally focusing tour operating for kerala tours from chennai. Nadi Consultant Service also provides various types of taxi services in Chennai and good offers packages for local tours in Chennai. To get the best taxi service you can avail our taxi services from anywhere in Chennai for outstation. Explore the beauty of Chennai by renting a cab and also provides taxi service from International airport to anywhere in Chennai and other nearby destinations. Nadi consultant service also specializes in providing Vedic Astrology, Nadi Astrology (thumb print astrology) Services along with taxi services for outstation Temple Remedy trip with guide, holidays from Chennai. Booking a cab for your weekend getaways from Chennai is now easy with us. Cabs are available for short holidays or for multiple days from Chennai. 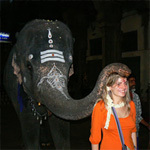 You can hire cabs from Chennai to visit the major pilgrimage and heritage sites. We have experienced chauffeurs who will pick you and drop you at your desired destination in and around Chennai right on time. Booking can done either by mail or simply by calling us. We provide round the clock support for all your cab rental needs. 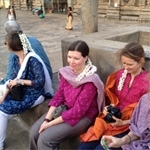 We at Nadi Consultant Service Tours believe in offering our tourists a chance to explore the best places in India, without compromising on their budget. This world is ruled by five basic elements that are Water, Fire, Space, Wind and Earth. We can't do anything without anyone this elements. 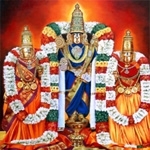 Where Lord Shiva is in these forms is called Panchabootha Sthalangal. This is one of the most revered temples to Shiva; it is one of the Panchabhoota Stalams signifying the 5 elements of wind(Kalahasti), water(Tiruvanaikka), fire(Tiruvannamalai), earth(Kanchipuram) and space(Chidambaram). Nadi Palm Leaf Astrology is a predictive Science that refers to a set of sacred palm leaves etched thousands of years ago by Indian Seers and Saints. Maha Siva Sukshama Nadi, Astrology is an exclusive set of predictions which were recorded by the Sages from the conversations between Lord Shiva and Goddess Parvati for All Religious. Pondicherry is a living monument of French culture in India. The town was once upon a time, an abode of scholars well versed in the Vedas. Joseph François Dupleix became the Governor of this French Territory in India. Internal disturbances in Puducherry gave the British, the opportunity to gain control. However, after the Treaty of Paris, the British restored the settlements to the French.